So before I start on my own crafting kick here on Glued To My Crafts, I want to share one more summer related craft with you all. Most importantly – a kid friendly one. Today’s craft is calorie free, melt-less and fun for all ages! 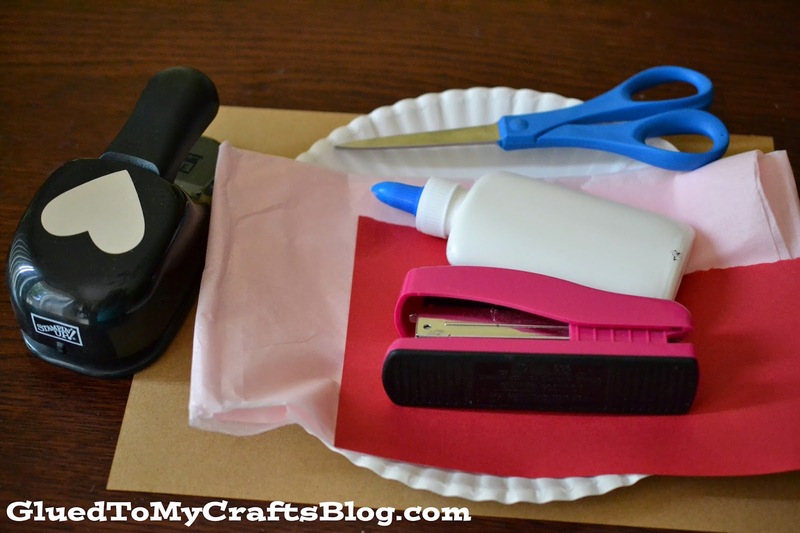 As always – my kid craft tutorials are super simple and made with everyday supplies. 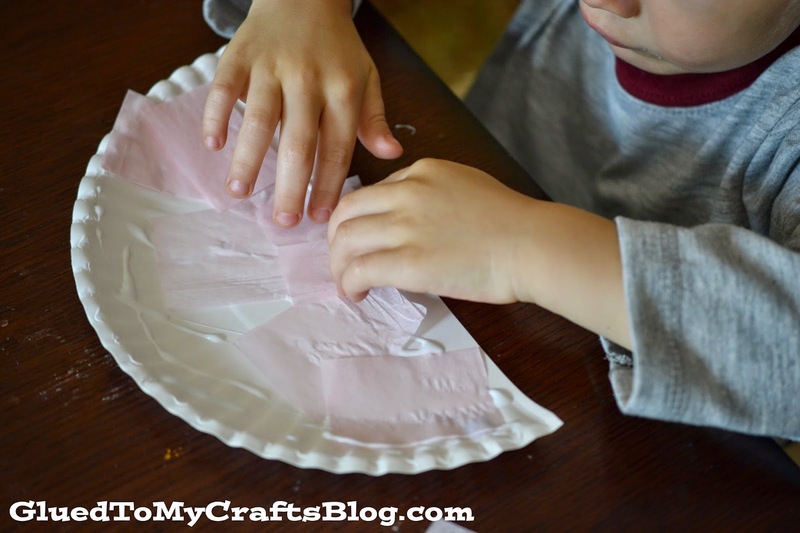 With a paper plate, tissue paper and glue – you too can make this End of Summer – Paper Plate Ice Cream Kid Craft with your child today! * Take your brown cardstock and cut a “cone” out of it. * With your red cardstock – punch out a heart shape. This is the cherry on top. * Put a good layer of glue all over the paper plate half. * Have your child place the tissue paper on the plate, until completely covered. 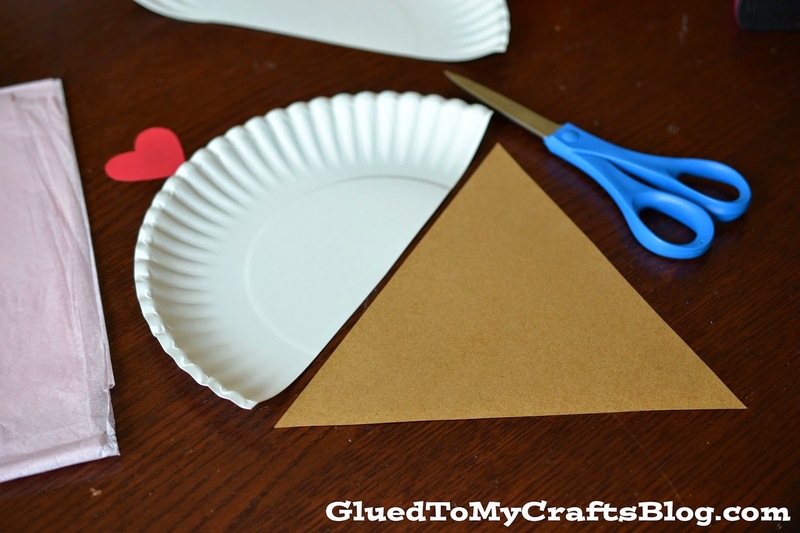 * Now staple the cone and cherry on to the plate, to complete the Paper Plate Ice Cream Cone kid craft idea. * Finally, display proudly for ALL to see!